Manchester United forward Anthony Martial has withdrawn from the France squad for their opening European Championship qualifiers because of a knee problem. 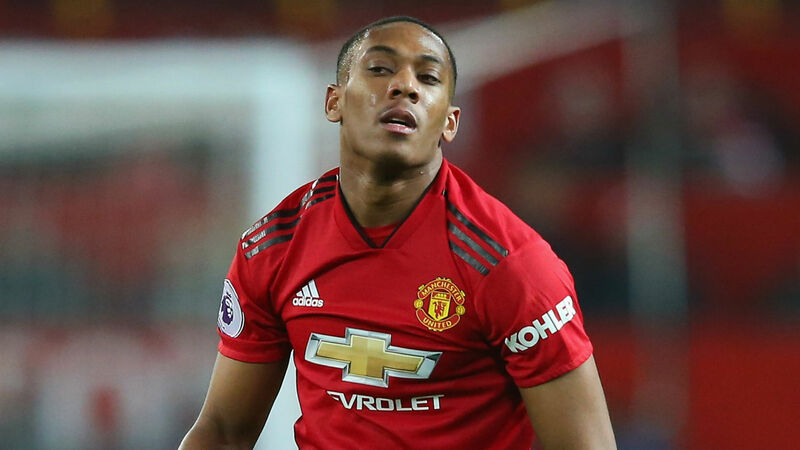 Martial felt severe pain in his right knee after United's FA Cup defeat to Wolves on Saturday and conversations between the Premier League club and France's team doctor Franck Le Gall have led to his omission. Atletico Madrid's Thomas Lemar replaces him in the squad for the games with Moldova and Iceland. The world champions begin their Group H campaign in Chisinau on Friday before hosting Iceland at the Stade de France in a repeat of the Euro 2016 quarter-final the following Monday.
.@AnthonyMartial doit déclarer forfait pour le rassemblement qui débute demain. Martial had been on the sidelines since February 12 because of a groin injury before returning in last weekend's 2-0 defeat to Arsenal. His knee trouble will be of concern to United, who take on Watford and visit Wolves in the space of four days after the international break as they seek to secure a Premier League top-four spot. United do, however, have eight days to rest after the trip to Wolves before they welcome Barcelona to Old Trafford in the first leg of their Champions League quarter-final. Martial has scored 11 goals in 30 appearances for United this season.